Governor raises concerns about "teen vaping epidemic". The top government lawmaker in Colorado sounded a lot like he stole a page from the U.S. Food and Drug Administration (FDA) playbook when he called for vaping age restrictions to combat teen vaping. After calling for state officials to act on what he perceived as an “epidemic,” Governor John Hickenlooper signed an executive order and attempted to persuade colleagues to consider raising the legal age for vaping, according to news5cleveland.com. FDA officials often have referred to the vaping trend as an “epidemic” and are threatening action if U.S. companies don’t revamp their marketing campaigns to not be so attractive to minors. If they fail, they could lose their rights to retail certain products. The FDA has an ally in the Colorado capital. Hickenlooper, who spoke recently at Mountain Vista (Colo.) High School, stressed urgency when dealing with the state’s high percentage of teen-aged vapers. Of 37 surveyed states, Colorado is tagged with the highest number of minors who have experimented with e-cigarettes at least once before their senior years in high school, according to the Colorado Department of Public Health and Environment. While the rising vaping rates continue to concern some officials, like Hickenlooper and FDA leaders, there is a counter-argument. Since vaping became one of the “in” things teens want to be seen doing, a recent study suggested smoking combustible cigarettes is declining at a significant rate. The study, titled “Examining the Relationship of Vaping to Smoking Initiation Among US Youth and Young Adults: A Reality Check,” was published in November by the journal Tobacco Control. It concluded traditional smoking rates are falling about three times faster than in previous generations. During Hickenlooper’s visit to Mountain Vista High School, the Colorado governor engaged in a sort-of give-and-take with students. 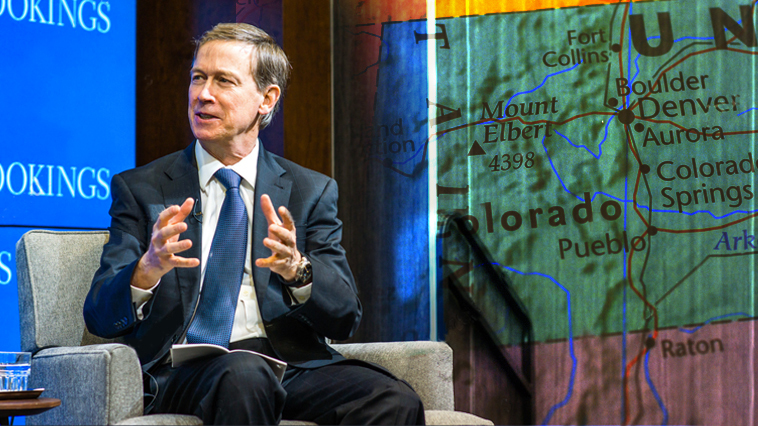 To stay in the game, Hickenlooper understands he’ll need a bigger playbook – a much bigger playbook. Keep up with the latest vaping legislation by checking out our News page!